Unlock Sony Ericsson Xperia TL LT30at - Safe IMEI Unlocking Codes for You! 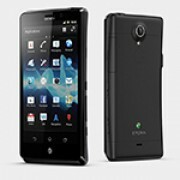 Unlock Sony Xperia TL LT30at Handset! In case your Xperia TL LT30at doesn't ask for the code and there is no designated field to enter it, please DON'T PLACE ANY ORDER, contact us first for support. Need to get the Xperia TL (LT30at variant) unlocked? We know that going straight to network operators can be a costly process, SafeUnlockCode has created a much cheaper service that is easy to use, super quick to get through and 100% guaranteed to work once you have your code. Once you get your unlock code you can unlock your Xperia TL within two minutes! Want to unlock a different handset instead? Have a look at our directory here. After your get your Xperia TL unlocked, you can use it with many different networks, including Orange, Vodafone, O2, T-mobile, Telus, Rogers, AT&T and more! You will need to follow these important guidelines before you can get your Xperia TL unlocked. Country - This will be the country you purchased your Xperia TL in. Network - This will be the network your Xperia TL is locked to. You’ll now need to ensure you have remaining unlock attempts. First you will need to put a SIM card into the Xperia TL that uses a different network to the one you are locked to. You’ll then need to turn it on and enter Menu, Back, Back, Menu, Back, Menu, Menu, Back (or alternatively dial *#*#7378423#*#*.) when the emergency calls screen shows. A 0 alongside network represents that you have run out of unlock codes- DO NOT attempt to place an order for your phone if this is the case! How to Unlock Sony Xperia TL LT30at Phone - Tutorial! Now you’ve done the above, you can proceed to unlocking your Xperia TL. First you’ll need to send us your IMEI (first 15 digits) your country and the network your Xperia TL is currently locked to. Next you’ll need to send u an email address so that we can send you an email with the unlock code in. After the order processes and you receive your unlock code, enter a non-accepted SIM card into your TL and then turn it on. Wait for it to boot up and show a screen prompt asking for an unlock code- you can enter it here and you will be unlocked! If you’re having trouble with this- just contact us for help. Do I need to wait for one week to received the code after I request it? what do you mean 2 to 7 days? Hi Ubaldo, yes we can unlock Sony Xperia TL LT30at from any network! Please use the form in order to check the price and the time needed.